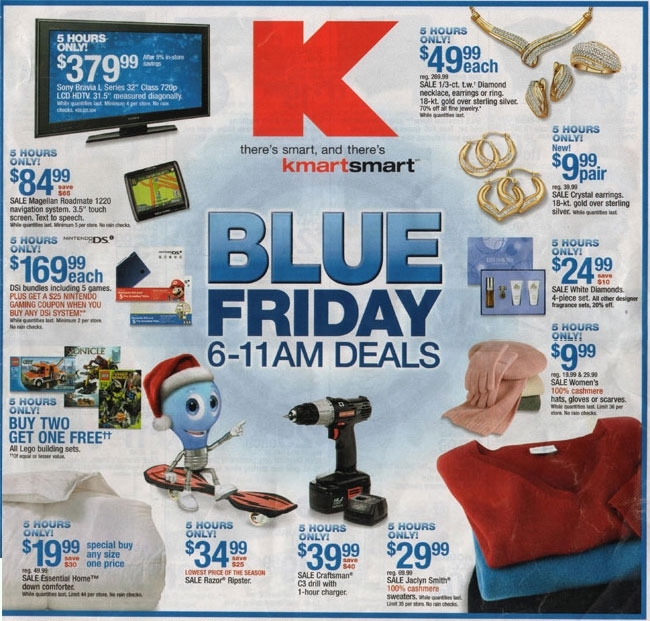 The Black Friday ad for KMART has “leaked” online (meaning a corporate PR person “accidentally” posted a scan of the ad on a bargain hunter message board). How odd that KMart is owned by Sears and the Sears ad also magically happened to leak online as well! This entry was posted on Tuesday, November 3rd, 2009 at 9:28 am	and is filed under Deals. You can follow any comments to this post through the RSS 2.0 feed. You can leave a response, or trackback from your own site.